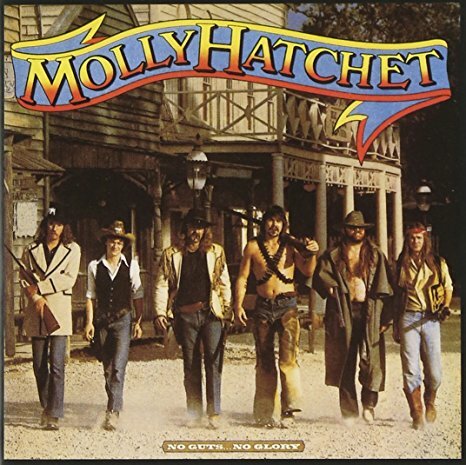 Easily the best hard-rock album I’ve heard yet this year, Molly Hatchet’s No Guts…No Glory even outdoes their earlier blockbusters Flirtin’ With Disaster and Beatin’ the Odds. 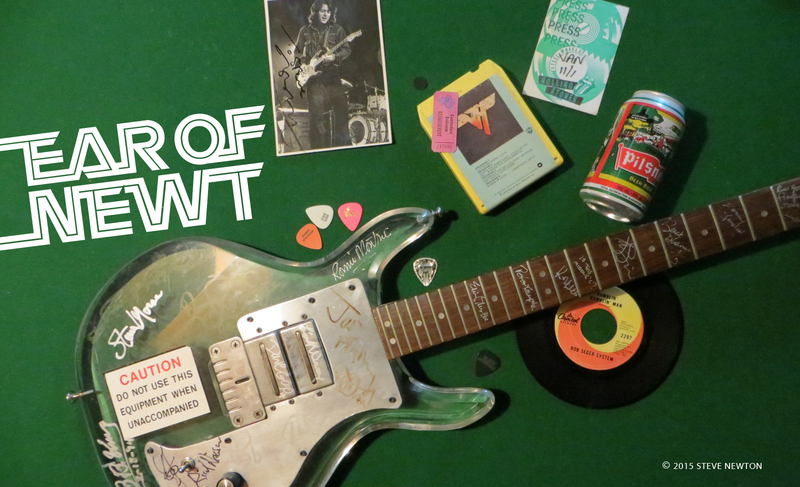 Growling vocalist Danny Joe Brown is back in the Hatchet lineup after fronting his own band for two years, and the rhythm section has been overhauled with new additions Riff West on bass and B.B. Bordan on drums. But the essence of Molly Hatchet is still intact. The three lead-guitarists–Dave Hlubek, Duane Roland, and Steve Holland–are still cranking out the fiercest southern-boogie licks on the continent. And now that the Outlaws have dwindled down to two guitarists and the Rossington Collins Band has split up it looks like they’re about to become the reigning masters of triple-lead raunch. “What’s It Gonna Take”, “Kinda Like Love”, and “Ain’t Even close” are all rip-roaring, dynamite tracks, particularly the slide-infested latter, but the album’s most outstanding cut is “Fall of the Peacemakers”, an eight-minute opus that is bound to go down in rock and roll history books–right beside Lynyrd Skynyrd’s “Free Bird” and the Outlaws’ “Green Grass and High Tides”–as one of the wickedest southern rock-guitar showcases on vinyl. If this album doesn’t break Molly Hatchet wide open I don’t know what will.